You can thank George Washington Vanderbilt III for putting Asheville, North Carolina on travelers’ radar. After the Manhattanite visited and fell for the Blue Ridge Mountains, with their dreamy splendor and curative climate, he built the Biltmore House between 1889 and 1895. At 178,926 square feet it was, and remains, the biggest privately owned house in the U.S. Where once it drew throngs of guests, now it draws tourists. Walk through the banquet rooms overlooking the mountain range, and it’s clear this setting was designed for socializing over drinks. But Asheville’s imbibing legacy extends far beyond posh parties. It’s said that NASCAR’s roots sprung from mountain bootleggers juicing up their cars to outrun the authorities. When it comes to drinking here, highbrow and grit happily coexist. Bars, distilleries, and breweries pay tribute to a rich heritage, yet present their offerings without pretense. Asheville represents classic Southern hospitality with a vibrant, contemporary update. One thing, however, remains antiquated: the liquor laws. North Carolina is a control state, and in addition to peculiar restrictions like no permitted happy hours and state liquor stores closed on Sundays, there are no actual public bars. Any bar that makes less than 30 percent of its revenue from food must operate as a members-only club. A typical cocktail bar or a dive may require you to purchase a membership. Good news: it’s usually about $5 and good for a lifetime. Pick up a coffee and pastry at one of the many cafés downtown. Asheville’s town center is compact, with a Möbius strip-like quality to it. Wander through the seemingly grid-like layout and you’ll realize that a gently curved road has delivered you to your starting point. It seems only fitting for a town that operates in an efficient, self-contained fashion: beer made on one end of the block ends up on tap at the restaurant around the corner. Rev up with an early lunch at , helmed by Katie Button, a four-time James Beard-nominated chef and alum of Spain’s late Michelin Star-laden elBulli restaurant. Button’s rustic-chic eatery is known for its Spanish trappings, like a jamón carving station and vermouths on tap. Sample a bright, dry vermouth alongside an ambrosia-scented sweet variety, or see what happens when it’s infused with cranberry and chestnuts and mixed in a Manhattan. This being the South, driving is the modus operandi. Happily, there are plenty of ride-sharing and taxi services, so call one and head ten miles north to . Owner and brewer Mike Karnowski, a walking Smithsonian of obscure beer styles, can wax rhapsodic about Grodziskie, a Polish beer typically made from oat-smoked wheat, or tell you about his many one-off experiments, like a fire-roasted saison inspired by a salad dressing that called for charred rosemary. En route back to town, detour to the historic , built in 1913. Today it’s an Omni property with a sweeping, mystical subterranean spa. Order a single malt, bourbon, or specialty cocktail at the as you take in the matched stone fireplaces, then step onto the terrace for the most magnificent mountain views this side of the Mason-Dixon. No time to linger though; a six-mile scoot south puts you at . Sample and purchase a bottle of Troy & Sons Platinum Heirloom Moonshine. This white whiskey is a taste of Appalachian tradition made from heirloom white corn by owner Troy Ball, who appeared on Discovery Channel’s Moonshiners. The distillery shares a building with , started by Oscar Wong in 1994. Today he’s recognized as the godfather of the local brewing scene, a badge of distinction in Asheville, known as Beer City USA, with around 30 breweries in the city limits. Downtown is chockablock with hotels, but for a true southern experience, book yourself at , a rehabbed circa 1907 property. Visit the nearby to pick up a bottle of your favorite whisky for in-room imbibing. Then head to your dinner destination: , a refined yet ultra-casual bistro run by John Fleer, a James Beard Award finalist many times over. His focus on what he calls “freestyle interpretations of Appalachian cooking” is echoed at the American whiskey-focused bar with around 65 whiskies and creative whiskey cocktails like a Cool Running (rye whiskey, Jamaican rum, house-made satsuma syrup, and Branca Menta poured over a frozen coffee ice rock, $12), created to complement the meal. There’s still time for a nightcap. Uber the few minutes to West Asheville, a neighborhood being rejuvenated with bars, eateries, cafés, and Asheville Retrocade, an arcade bar. Hit , a quintessential rock and roll dive bar where music posters and vintage kitschy décor give the place its roadhouse charm. They offer about 125 American whiskeys that often include the and other rarities. Co-owner Chris Bower opened with Rett Murphy in March 2017. While their rye whiskey, made with heritage rye grain, is in the works they offer Mountain Bitter and Appalachian Fernet amaros, plus a black walnut liqueur. is your stop for breakfast. From the seasonal hash bowl to hearty omelets, local ingredients take center stage. From there it’s a ten-minute stroll to , a yeast production facility focused on brewers and distillers. Tours are offered daily at 3 p.m. and by appointment. Following the microbiology crash course, you’ll have a new appreciation for a taproom lunch of pizza. Not just any pizza; this one is made with dough from pure liquid cultures. Try a comparative tasting of beers that showcase different yeast strains. 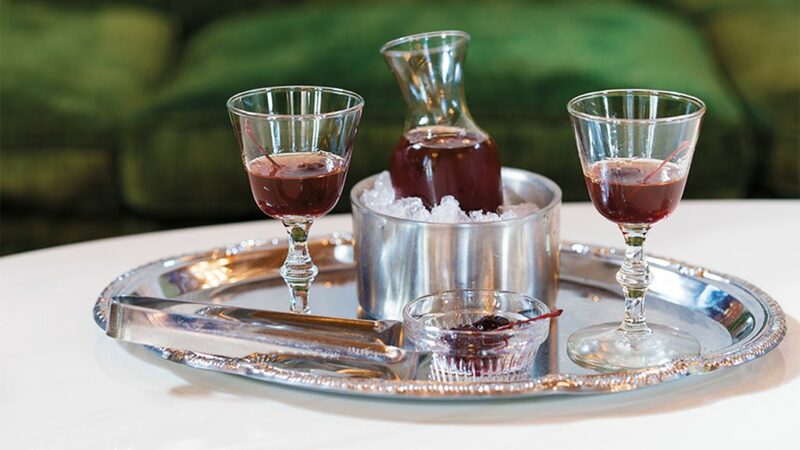 With obsessive attention to detail, Little Jumbo offers inventive cocktails, including a Manhattan for two. Head fourteen miles westward to , the brainchild of William Goldberg, who was making cheese before learning whiskey from his business partner’s father, Edwin Dodson, former distillery manager at Glen Moray in Speyside. The single malt at this locally minded distillery is still aging, but their Genever-style gin, made with 100% malted barley, is here to taste. Every Friday in warmer weather (generally April through October) Pritchard Park is the scene of a drum circle. Bring your drum and join other drummers or just soak in the scene before heading to , a Dickensian-style drinking parlor with an unmarked street entrance. Owner Casey Campfield has amassed more than 300 whiskies, one of the largest selections in the state, since opening in 2014. Laphroaig 25 year old makes a fine aperitif, as does one of the creative seasonal cocktails. Local restaurateur and writer Chall Gray delivers obsessive attention to Victorian design details and 19th century mixologist Jerry Thomas at his new lounge, . For starters, order the charcuterie board and choose from classic and inventive cocktails, or consider their bottle service of a Manhattan or Japanese Highball for two ($18). After all, as the Vanderbilt legacy reminds, this is a town for extreme socializing. 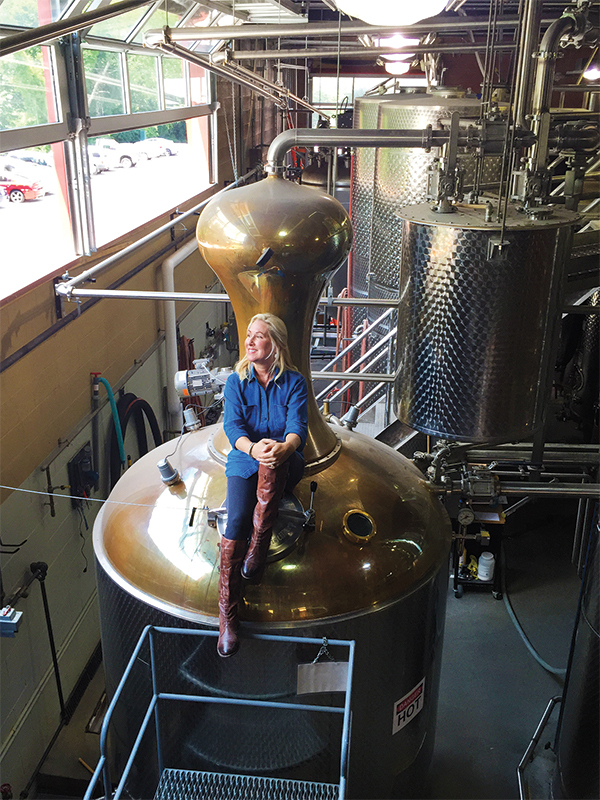 The post The Whisky Lover’s Asheville Travel Guide appeared first on Whisky Advocate.